Our company takes advantage of the deep relationships we have built across the auto glass industry to bring one of the best windshield replacement and glass repair services in SoCal to our local area. We are able to minimize the amount of down time your auto will have while pending repairs, and our rate of rework due to flawed glass installations is extremely low and one of the top rates in the local area (for avoiding rework). 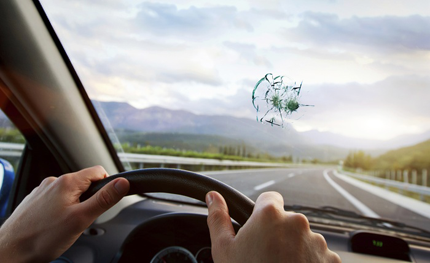 In the event you find that your auto glass only requires a repair or your automobile requires a car window repair service, our savvy staff will also team up with you to take a look at your auto insurance policy to see if you might be covered for the work without having to pay a deductible. This is not uncommon for larger insurance carriers, and in many cases our staff has been able to save clients from having to spend any out of pocket money on their windshield repairs. Many of our customers find this to be an attractive proposition, so we always make sure we let you know what is in the realm of the possible when you make the decision to work with our team. Even if your policy will not cover the work, you will quickly see that we have some of the best deals in the business when it comes to cost and quality of work. No matter what, if you do not give us a call, we will not be able to help you with your glass needs. Please reach out to our staff with any questions that you might have regarding our auto glass services, and Express OC Auto Glass looks forward to serving you today. We will always provide you with a free estimate on our work, and there are no strings attached when we do.